The future of Europe is a Learning Europe! BRUSSELS – 5 April 2017 – The Lifelong Learning Platform, European Civil Society for Education, together with its members, welcomes the European Commission’s promise to look more thoroughly at the social dimension of Europe such as expressed in the White paper on the Future of Europe. However, we are also concerned about the fact that it lacks an analysis of what really brings Europeans together and what drives the European identity among its citizens. As the Brexit begins, we are convinced that education and lifelong learning are precisely what will protect our unity. Last week, UK Prime Minister Theresa May’s letter to President Tusk set a milestone in EU history. Only days later, we celebrated the 60th anniversary of the Treaty of Rome, during which civil society organisations, including the LLLP, called on leaders of Europe to show “vision and courage to set Europe on the path to a sustainable future which realises the rights of all people and respects planetary boundaries” through an open letter The Europe we want: Just, Sustainable, Democratic and Inclusive. On 1 March 2017, the European Commission published its White Paper on the future of Europe. While it does underline the need for skills and lifelong learning, there is little attention when it comes to the next steps and concrete commitments in this regard. The Lifelong Learning Platform, European Civil Society for Education, together with its members, is happy that the European Commission is going to look more thoroughly at the social dimension of Europe, but we are also concerned of the fact that it lacks an analysis of what really brings Europeans together and what drives the European identity among its citizens. As the Brexit begins, we are convinced that education and lifelong learning are precisely what will protect our unity. Meet & exchange: Mobility in order to learn and to exchange ideas and experiences is key to create understanding and ownership of the European Union. Erasmus+ is the flagship programme of the European Union and one of the most successful European programmes that has created intercultural learning, lasting European friendships and a strong European identity for all those participating. LLLP believes that a there is a need to further enlarge the accessibility to Erasmus+ to increase participation. We propose to consider how (young) people from disadvantaged backgrounds could also participate in Erasmus+ and especially also how to include adults or older people, i.e. groups that are currently least convinced about the European project. Participate & shape: ‘Brussels’ is very far away from most Europeans. Additionally, national politicians and media tend to blame ‘Brussels’ for everything unpopular while claiming all things positive for themselves even if the origin is ‘Brussels’. LLLP therefore proposes to bring the EU closer to the European citizen and to provide the possibility to participate. It is extremely short-sighted that the ‘Europe for Citizens’ programme has so few resources, so we suggest a considerable increase in funds for this programme as well as more opportunities for citizens to get involved. Share & innovate: In Lifelong Learning, but also youth, culture, sports and research (as well as other areas) cooperation between people, institutions, SMEs etc. has led to an enormous transfer of innovation across Europe. Whether it is in small-scale strategic partnerships in Erasmus+, ESF and Horizon 2020 or in other exchange and cooperation programmes, this is where Europe can make enormous progress. The European Union has the real possibility to foster cooperation and innovation across Europe. It also has the opportunity to nurture areas where there is little commercial interest and therefore little outside financing available. LLLP therefore proposes a renewed effort to support exchange and innovation across Europe. 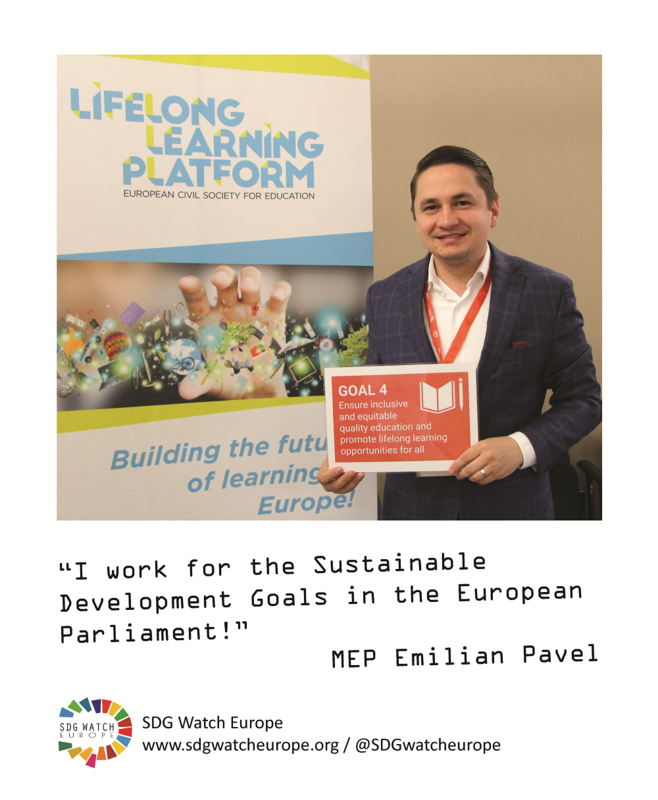 Finally, LLLP believes that learning is the future of Europe – learning for innovation, learning for our future jobs, but also learning from and with each other, learning for our personal development and learning to foster our values of solidarity, peace and democracy. 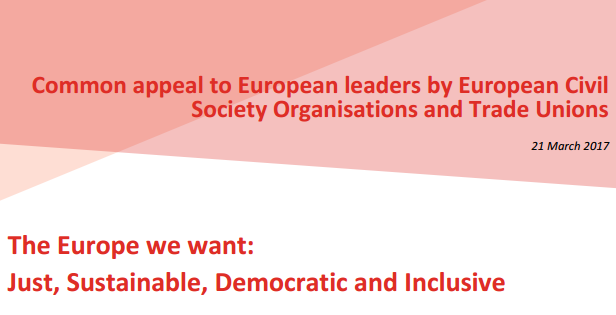 “As we mark the 60th anniversary of the Treaty of Rome, we have a momentous opportunity to take stock of how far Europe has come – and how far we still have to go in order to offer a sustainable and prosperous future to everyone in Europe.” On 25 March 2017, civil society organisations including the LLLPlatform called on leaders of Europe to show “vision and courage to set Europe on the path to a sustainable future which realises the rights of all people and respects planetary boundaries” in the open letter The Europe we want: Just, Sustainable, Democratic and Inclusive. 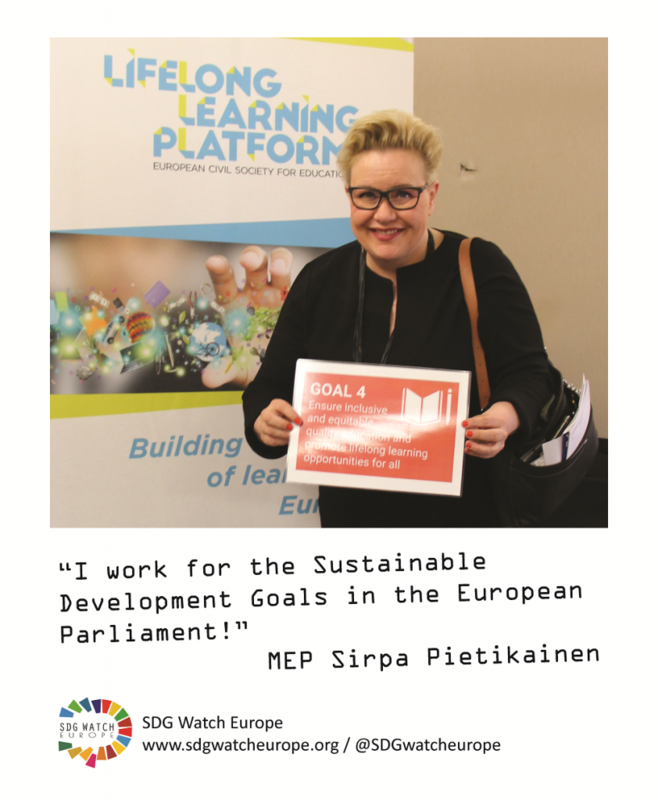 This must include “strengthening education as a public responsibility that offers lifelong learning for all in order to develop active citizenship, critical thinking, social inclusion, and contribute to building the European identity, vital at this time” say David Lopez and Gina Ebner, respectively President and Secretary General of the LLLP. The Platform also took part in the #SDGAmbassadors Campaign on 24 March.